Over the last decade scalp micropigmentation has undoubtedly become more popular as a mainstream cosmetic treatment, with its benefits being endorsed by thousands of satisfied customers and a number of high profile celebrities across the globe. Also known as SMP and hair follicle simulation, this affordable procedure offers an affordable and results driven alternative to invasive surgical hair transplants, which were once the only option available to individuals who often suffered in silence from the emotional trauma and embarrassment caused by thinning hair, alopecia, receding hair lines and premature signs of balding. With advancements in technology and the innovation of specifically formulated scalp pigments which are able to simulate the appearance of 2 dimensional hair follicles with outstanding natural precision, scalp micropigmentation (SMP) has become an in demand cosmetic tattoo procedure which many consider to be life changing. If you’d like to book a complimentary consultation please, email us directly at scalp@theresawild.com so that we can arrange a date for you to visit the clinic and have a detailed discussion with Piotr regarding your specific needs. Prices range from £300- £2,000, depending on Norwood scale – you will be advised during your consultation. What exactly is scalp micropigmentation and who’s it for? Scalp micropigmentation (SMP) is a form of advanced cosmetic tattooing, which implants thousands of minute pigment deposits into the scalp using specialist equipment to create the illusion of freshly shaven follicles and added density to areas on the scalp where regrowth is not prominent. 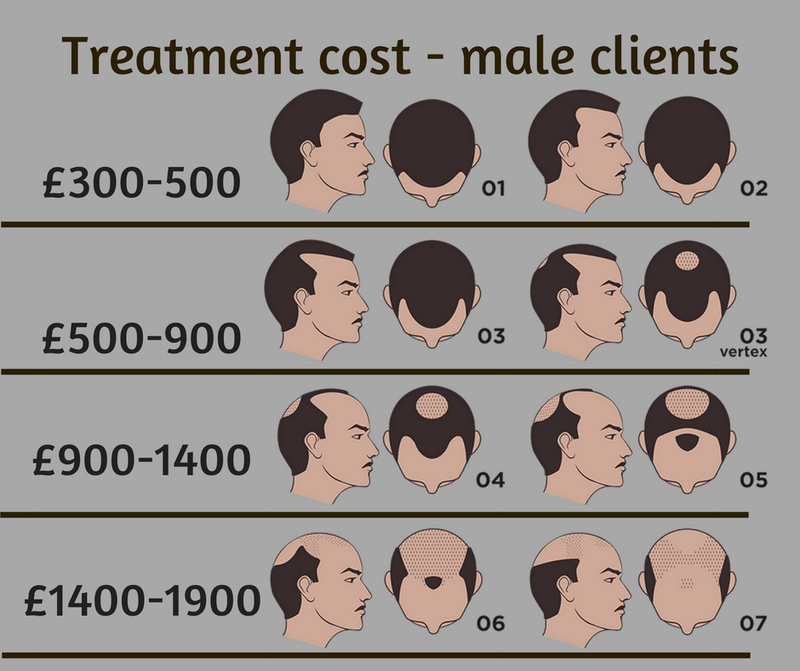 Whilst the procedure is predominantly sought after by male clients who wish to address premature signs of balding, it’s also popular with women who suffer with thinning hair and individuals with androgenic alopecia (standard pattern hair loss), alopecia areata (partial baldness) or alopecia totalis (total hair loss). Is scalp micropigmentation SMP the same as tricopigmentation? Whilst similar in the end results, there is a significant difference between the two. Tricopigmentation in contrast to permanent scalp micropigmentation SMP offers temporary coverage, which as a general rule lasts between 12-24 months. At Theresa Wild Permanent Cosmetics we provide and personally recommend permanent scalp micropigmentation which requires only maintenance touch ups once completed. Both procedures have their benefits although we do not offer tricopigmentation as repeat treatment can in some cases lead to over-saturation and the undesirable migration of pigment. How will the scalp tattoo last? Scalp pigmentation will begin to fade slightly over time, however it is a form of tattooing, so once implanted should be considered as permanent. Depending on your unique lifestyle choices, immune response, exposure to UV rays and choice of scalp products which can lighten the pigment, annual review consultations are advised with tops up varying between 3-10 years. How many SMP treatments will I need? As a general rule 2-3 treatments will be required, although it’s important to take into consideration that each customer is different and that we limit sessions at the expense of a result that you’re 100% satisfied with. After an initial detailed consultation where hair loss is measured and different styles discussed, the initial procedure will be carried out, to implant pigment evenly over the scalp and create the new hairline. The second treatment will then be more focused on the introduction of additional colour to balance the density in the area, with additional simulated follicles and shading being inserted during a third session if required. Is the treatment painful and will a numbing cream be used? Initially the procedure may feel a little uncomfortable with a sensation similar to light scratching, however as time progresses the client will get used to the feeling. Numbing cream is illegal for anyone to administer in the UK unless they are a registered Doctor or nurse prescriber so will not be used. We do not recommend the use of self-prescribed painkillers either as they can cause bleeding in the area. The area worked on may be slightly red after the treatment, however this will subside in a few hours. Can Scalp Micropigmentation – SMP be removed if I’m not happy with the treatment? Whilst it’s never encouraged to go ahead with a treatment if you are unsure as to whether you will like the outcome, it is possible to remove scalp micropigmentation by laser tattoo removal using a Q-Switch ND:YAG or tattoo remoov, which will be carried out by an experienced beauty therapist or laser technician.